Kimchi Tofu Mandu in Sze Chuan Vinaigrette. A twist off from a delicacy in Sze Chuan, known as Hong You Chao Shao - traditionally made with meat-dumplings, served in chilli broth. There are many variations to this recipe including the sauce. I’ve decided to make a vegan version of it when I came across Korean Mandu made using kimchi & tofu! You can also make the Mandu to your taste by substituting the filling with other ingredients - I.e cabbage, pork, beef etc. Remove the liquid from the tofu & kimchi by squeezing it through a muslin cloth. Next transfer it into a mixing bowl & add in the the rest of the ingredients to make the filling. Mix well. Spoon one tablespoon of the filling on to the wrapper right in the middle. Using water, dap lightly around the edges of the wrapper so that it’ll stick when folded. Fold the wrapper w/ the filling into halve from one end to the other. Squeeze lightly on the edges using the area just beneath the thumb to make stick the folds together (avoid squeezing the fillings). Dap lightly with water on one end and fold it together using another end to form a round mandu shape. Squeeze both ends together so that it sticks and retain its form. 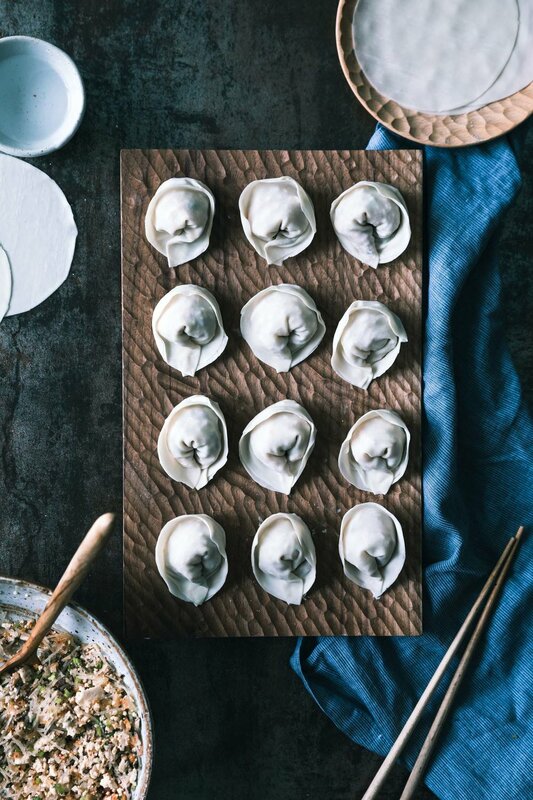 You can freeze the Mandu in the freezer for future usage or steam the fresh Mandu in a steamer for about 5 minutes or 7-10 minutes for frozen ones. Prepare the sauce by mixing all the ingredients together. When the Mandu is done, remove from the steamer & toss it with the Sze Chuan Vinaigrette. Garnish with toasted crushed peanuts, sesame seeds & coriander. You’re really to serve! With its ultra-compact storage and three food bowls with removable bases for easy cleaning, the Tefal Stainless Steel ConvenientSteamer (VC1451) can now be yours for $79.90 (Usual Price $99.90). Save $20! Harvey Norman is the place to be for every cook to feel like a child again! With the wide range of kitchen and home appliances available, Harvey Norman is like a cook’s playground!